At A+ Plumbing, Heating & Cooling, we are a full service HVAC & air conditioner contractor. Not only do we offer repairs and regular maintenance, but we are also here to install new AC units or replace your old one. We are capable of installing air conditioner units and systems small and large to homes and businesses. Our technicians are trained professionals who will get the job done right the first time around. New England weather goes from one extreme to the other. A reliable AC systems is just as important as a heating system in New Hampshire. Keep your home or office cool and comfortable with brand name air conditioning systems to get you through even the worst of heat spells. Air conditioning not only keeps your space cool, but it also removes the humidity from the air for added comfort. Not sure if you should replace your old unit? We will replace or repair you existing unit, but be aware that older, outdated systems the require frequent repairs are probably costing you more than you think. Not only are they operating inefficiently, but you have to keep spending money to get it fixed again and again. 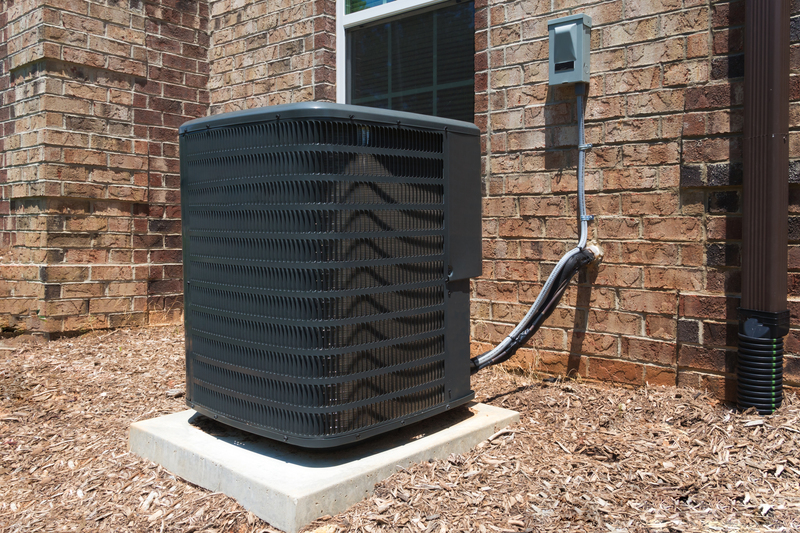 Replacing your old unit with a more energy efficient, newer unit or system will reduce your summer HVAC costs and energy consumption dramatically. With technology constantly changing, even if your air conditioner is only a few years old, it could already be inefficient by today’s energy efficiency standards. For commercial or residential air conditioner installation and replacement, contact the experts at A+ Plumbing, Heating Cooling in Manchester, NH. We service all of New Hampshire and Massachusetts with top notch, professional HVAC services including air conditioner installation and repairs.